The materials used by making products are mainly natural and often exclusive, whereby much use of special wood and horn types. To find interesting materials, I contacted different cutleries in Scandinavia. I also travel at least four weeks a year through Scandinavia looking for materials as blades, horn of reindeer and special types of wood, including knots and roots of trees. The advantage of Scandinavian wood is the density and structure of the wood, which arises because trees grow slowly because of the cold winters. The most exclusive type of wood is Masur Björk, a type of birch with special patterns. Those birches grow in the south of Sweden, Finland and Russia originally, but are even cloned because of their salability. Another special type of wood that I like to work with is a type of black oak being found underwater. The characteristic black color arises when the wood (oak) is under the ground or remains in water for a long period. A source of black oaks are wrecks on ocean and sea beds. Skandi Knivar performs stabilization of wood used in the blades themselves. After years of having different impregnation agents tested, she found a process which retains the original color of the wood (stabilization often leads to yellowing of products). Furthermore, Skandi Knivar has contact with Scandinavian hunters about places where offal is dumped. At these places, often deep in forests, is the chance to find bones of moose. In the Netherlands we search on sand quarry mainly, whereby it’s possible to find mammoth ivory or molar in a rare case. Finally, it’s important to me to convey that blades are manufactured in different ways. In contrast to hand-forged blades (entirely forged by a blacksmith), fabric blades are manufactured entirely in a factory. Hand-grindblades are made of fabricated steel and then grind by hand in form. This applies to both ordinary and damask steel.  Skandiknivar always indicates whether the blade has a factory, hand-cut and hand-forged blade.